Is it Bedtime yet? : Do I still have a blog? Do I still have a blog? I've done a pretty good job forgetting I have this here blog. Though every now and again I get a nasty-gram via e-mail or text reminding me of my failure. Then I think to myself, "I should go blog" or "I should go write a good-bye entry on that blog and put it out of its misery." But I can never decide which of the two to do. So I guess I'll just blog. When last I posted, I mentioned my weekly schedule of laziness. Go figure that as soon as I posted it, I realized that Christmas was around the corner and all of my recovery days were out the window. I shall now list random stuff that has happened between now and then. 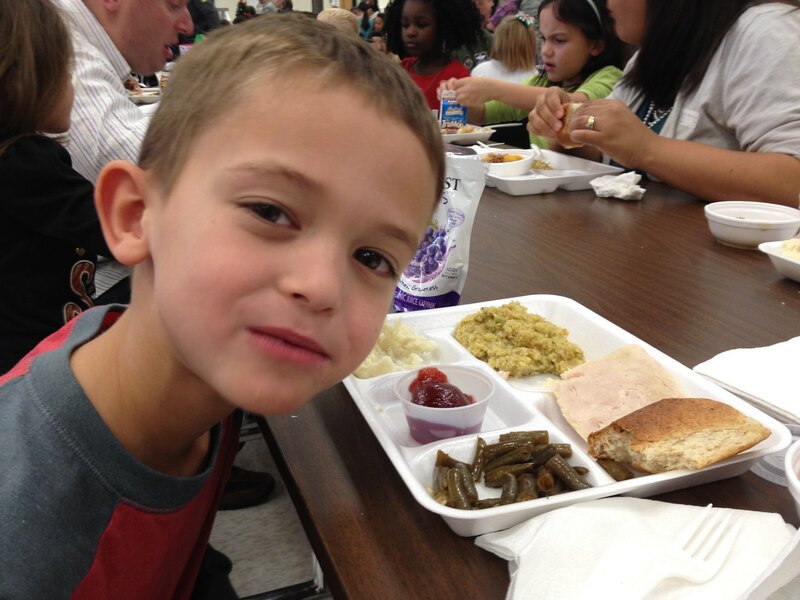 --The kids had a special holiday meal in the cafeteria. 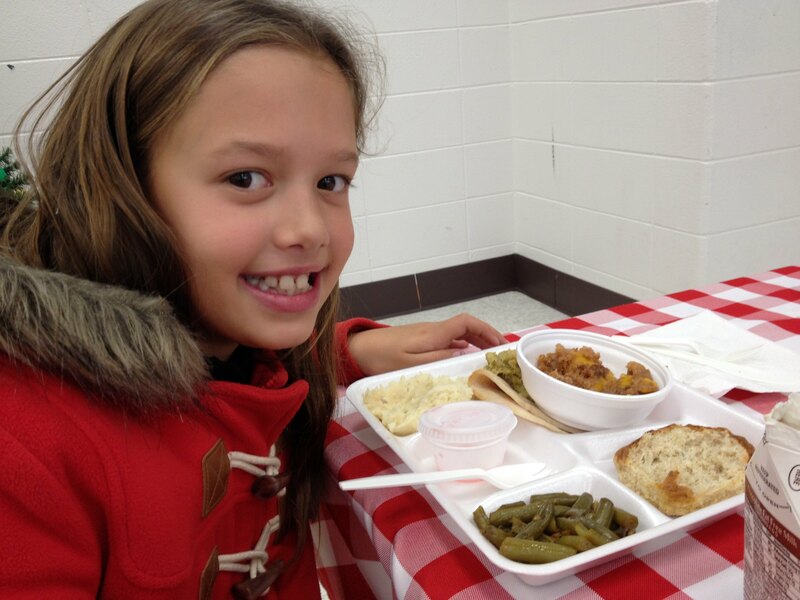 I got to join them and realized that school lunches haven't changed much over the years. Poor Derek. You'd think I would have given up on home haircuts by now. 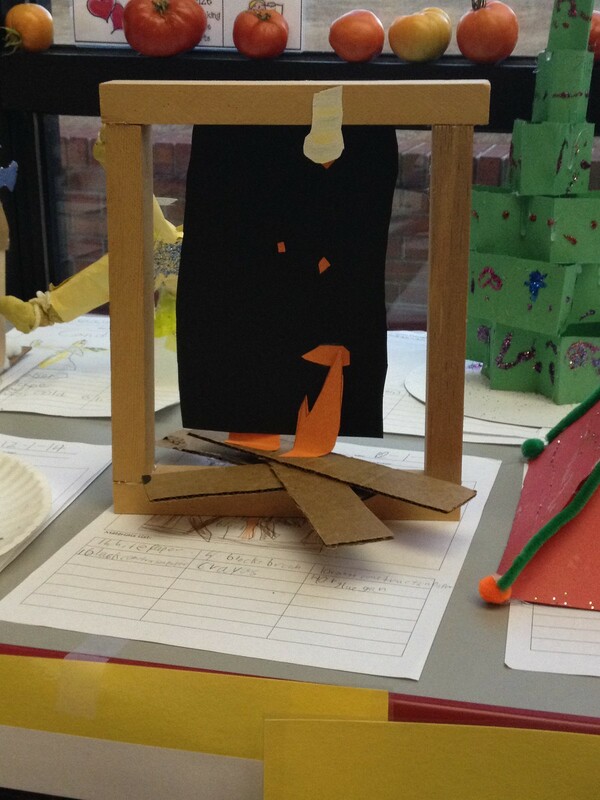 -- In school, Derek's class made centerpieces as an art project. There was an open house where we could see them. 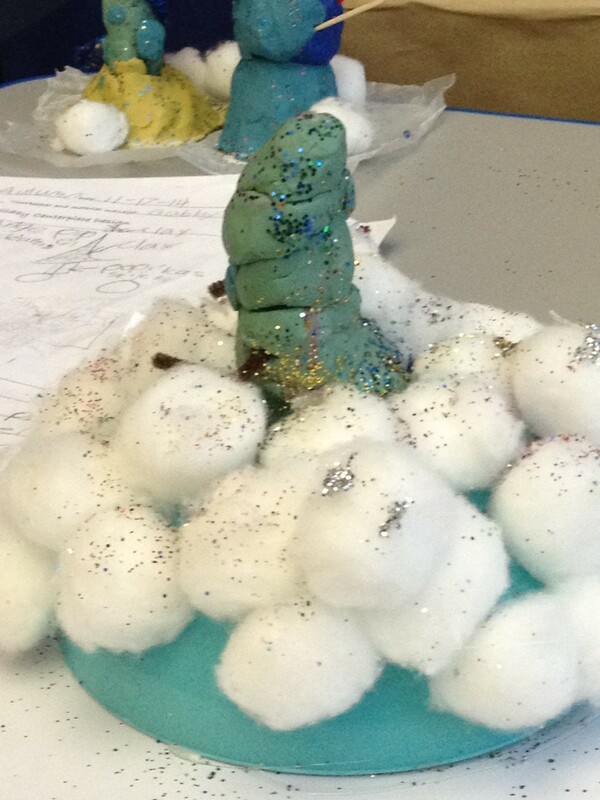 Amusingly, several other students made what we assume were supposed to be Christmas trees. 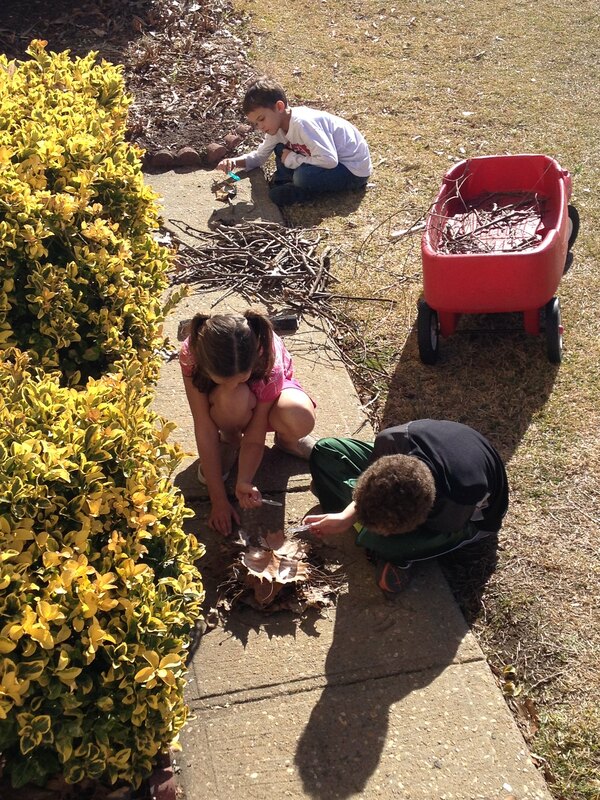 I will let the photos speak for themselves. These would have gone well with Alex's preschool art project. -- We had a nice, low-key Christmas break in our base neighborhood ghost town. (You can imagine that since no one on a military base is from "around here," most families go back to their hometowns to visit with family.) Josh had a bit too much work to do, and our hometowns are just a bit too far for us to have made that trip this year. 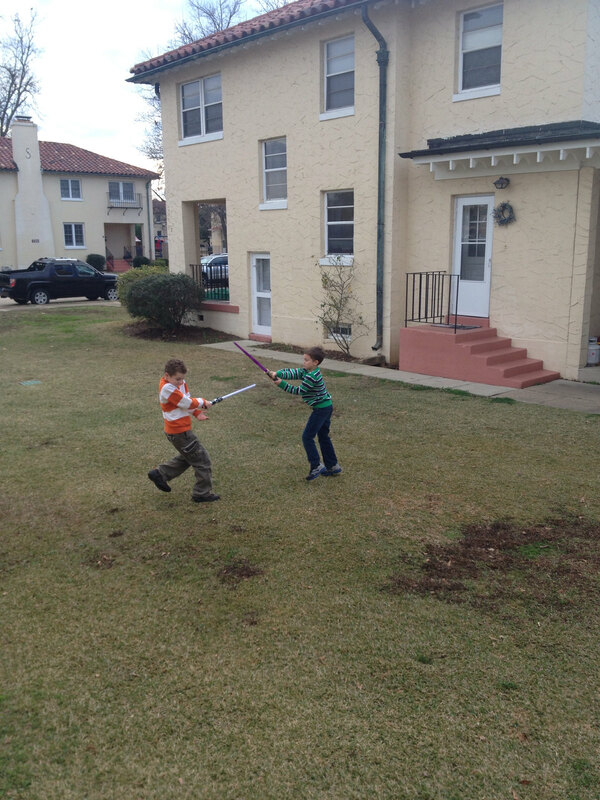 It was quiet around here and the kids forgot how to play without friends around. -- When the families returned, they were right back to their old tricks of starting fires with magnifying glasses and fighting the dark side. -- We had a visit from Josh's dad the week before Christmas, and he helped shuttle Josh back and forth to Birmingham where Josh had surgery for his hand. He was still having trouble following his accident in Spain. 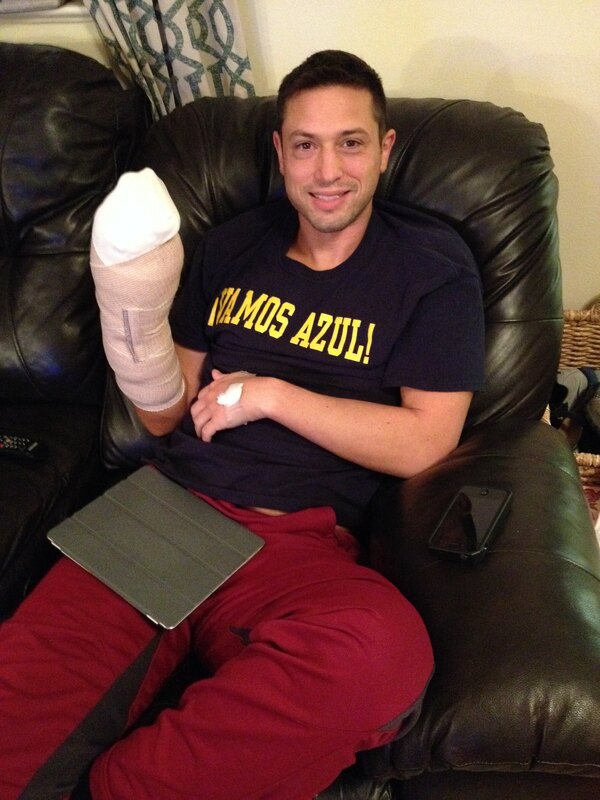 The jury is still out as to whether this surgery helped or made it worse. This is Josh's "I'm still drugged" smile. 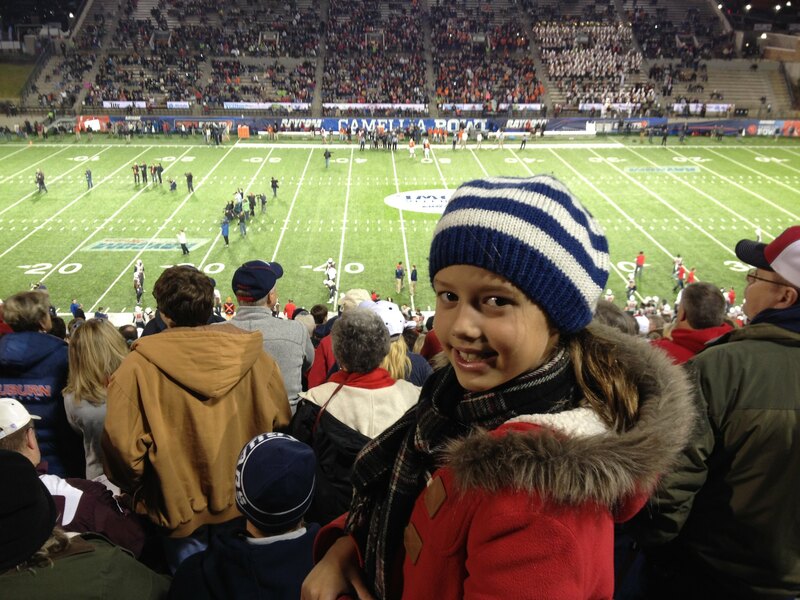 -- Montgomery hosted its first ever college bowl game, so we took the kids to see it. They lost interest by halftime. 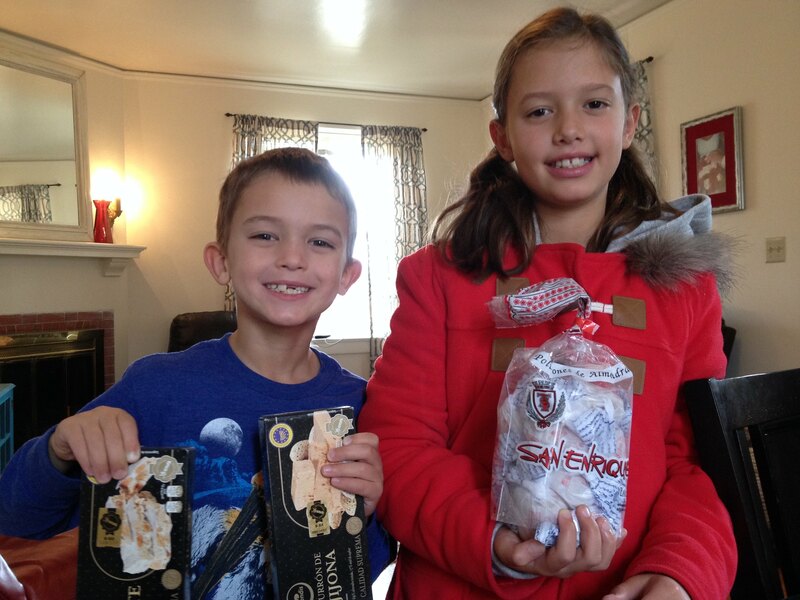 -- We got a box of Spanish treats from our friends in Madrid. I cannot tell a lie. I miss living in Madrid. I think I will begin to set aside a specific amount of time every week to plot how we might finagle another assignment there. -- In January I realized I needed to alter my weekly schedule to include going to the gym because I was becoming a larger, softer version of myself. Turns out that living a slovenly lifestyle is hard on the waistline. So I joined the rest of the resolutionists in the gym and I suppose that's a good thing, as beach weather is right around the corner down here. I read somewhere that after Valentine's Day is when most people fall out of their New Year's resolutions, so if you see me feel free to poke me in the belly and tell me to keep working out. 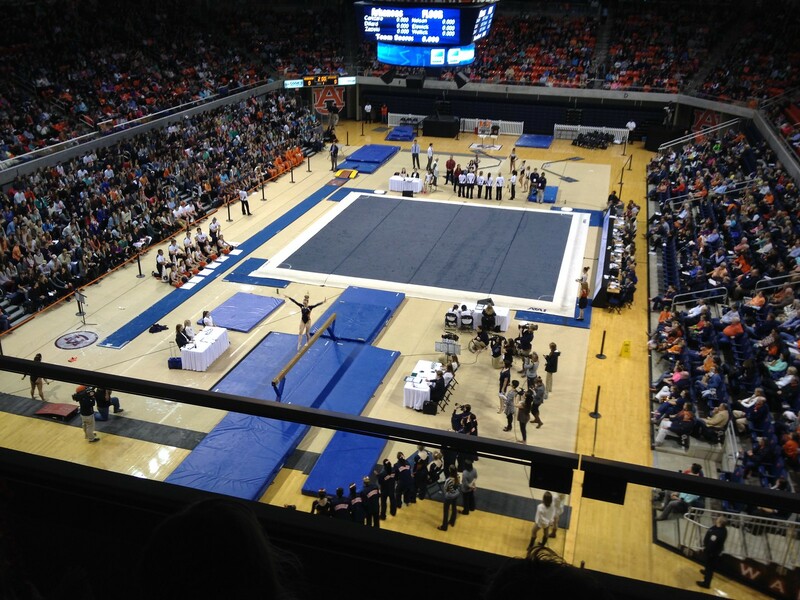 -- Alex and I had a girls' night out with friends to see a gymnastics meet at Auburn. 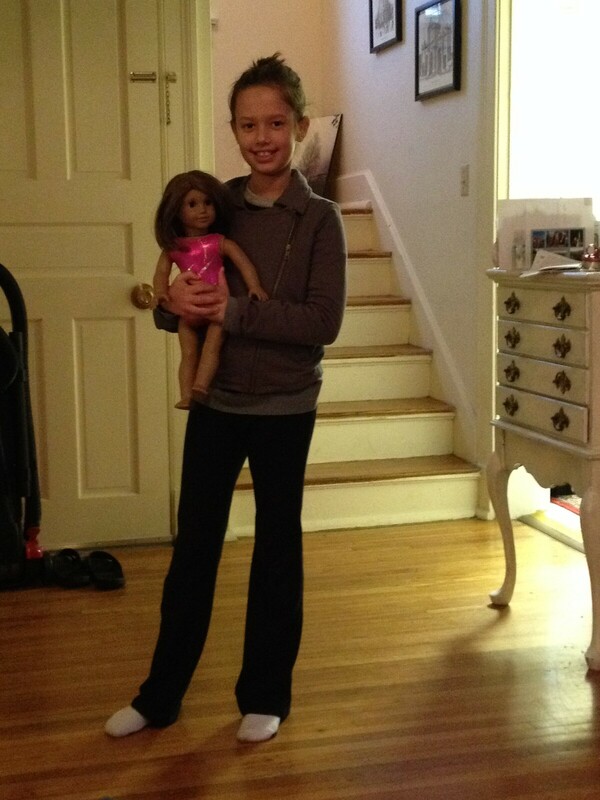 American Girl dolls were also invited to attend. And that concludes a rather poor job of playing catch up. Which brings us to now. We've got about 4 months left before we move. How does this happen? I mean, I know time is going by because the kids keep outgrowing their pants, and because Derek doesn't have to reach on his tip-toes to turn the kitchen sink on anymore. But is it really already time to think about boxes and movers again? In short, yes. And inquiring minds might like to know where we will be heading next. And I would like to inform those minds. However, we don't know yet, officially. Unofficially, we have a pretty good idea but I'll wait to post about it until we get some paperwork. Should be soon! Love your blog! Thanks for the update. Great pictures. Your kids are growing so fast! I had almost given up! Loved the update...can't wait to hear where you're headed next!